So this idea has been floating around for a while, that the Na'vi are a highly advanced post-industrial civilization that has forgotten its past. One that uses biological technology and that Ewya is some kind of control system. Well,Sounded very complicated for me,I really dont think that this theory is exact but there can be some truth in it.We all know how the Na'vi look at industialization and technological improvements. This theory can be approved if it was like this,the Na'vi was gone too far with technology and industry so they started to threaten the balance of Pandora(toxic gases,nuclear threats,toxic wastes etc.) And making wars between the clans.And the Eywa,As their control system and deity ''pulled the plug'' of their current civilization.An end of the world so to speak.To protect the balance of the planet and make the Na'vi to go back to square one.And this event IS The First Songs I guess.The first songs from Eywa that Na'vi heard after their ''plug pulling''.This is the way I think. BTW This could be a really nice fanfic thought! I'm not a fan of the idea. It's leads to the premise that the life on Pandora was intelligently designed by the Na'vi who for some reason forgot about it some where along the line of their history. The thing is if you think about it, you can sort of understand how the evolution of life on Pandora could have happened naturally. The ability to communicate directly the way Pandoran life is able to could have been an evolutionary advantage. Hence the Na'vi are able to interact with direhorses and ikran, but also the tree of souls and/or the tree of voices and the various fauna of Pandora is able to pass along electrical signals. It's because they're able to interact with not only animals but the trees that I think this ability had to have developed really REALLY early on in the history of life on Pandora. Like before there was a clear distinct split between plant and animal life. I don't think Eywa is a control system created by a technological civilization, I think it's the intelligence that formed from the communicative ability of the plant-life on Pandora. In other words, I think the Pandoran forests are a giant brain made up of trees instead of what we think of as brain cells. @Exoblade Interesting theory, this could really work as a spin off/fan fiction. If the Na'vi were an advanced civilisation once (similar to the humans), Eywa would instantly recognize the destructive behavior of the humans and their threat to her existence just shortly after their arrival. The RDA mines and destroys Pandora for many years, yet Eywa is completely unaware of the danger. But after Eywa eventually gets access to the information in grace's mind, she instantly understands the problem (=the intentions of Quaritch and Selfridge) and eventually starts to actively fight against the humans. For me, Eywa's naive behavior is clear evidence that the humans are in fact the first and only contact with an advanced civilisation. For the question of who is controlling who, Eywa is clearly able to control (Talioang, Nantang, Ikran, Angtsik) or influence (Palulukan) inferior life forms. Jake is probably the first human to connect with Eywa (Tree of Voices/Utral Aymokriyä scene in the movie). 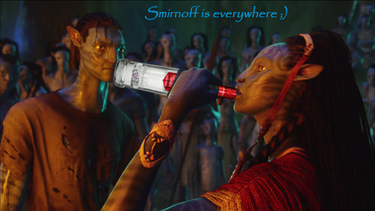 If Eywa had the ability to control the Na'vi, she would also be able to access the Avatar's memories and get to the same conclusion even before Grace's death, and likely intervene earlier. Last edited by Dr. Na'vi; 08-06-2016 at 04:07 AM.